Camille Acosta is a Los Angeles native. After completing her undergraduate degree in Ancient History and Classical Archaeology at the University of Edinburgh, she obtained an MA in Arts and Heritage Management in London and worked in a variety of museums and cultural institutions in curatorial and project management roles, as well as in theater production and design. She returned to archaeology with a curatorial internship at the British School at Athens, Knossos and a postgraduate degree in Classical Archaeology at Oxford University, where she focused on Archaic Greece, particularly Ionia and its relationships with Cyprus and Egypt. Throughout, she has been involved in the Naukratis Project of the British Museum, researching jewelry and mirrors from the site in the collections of the museum. 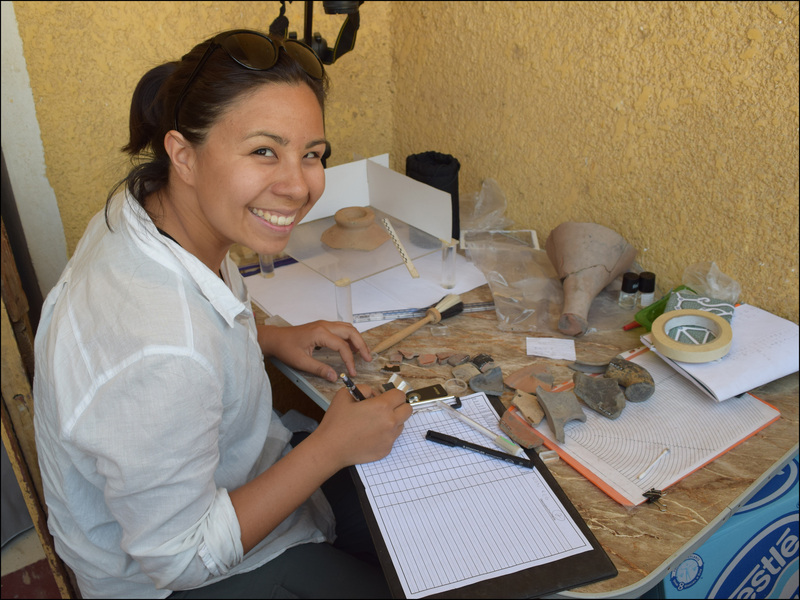 She joined the current excavations as the finds registrar. She is particularly interested in the intersection between trade and sanctuaries in the Eastern Mediterranean and the dedication of metal votive offerings in Archaic Greece. At UCLA, she is looking forward to develop these interests along with undertaking analyses of ceramics and metals and investigating the use of digital technologies to enhance visitor learning in museums.